The R4 ECU is a fully sequential 4 cylinder engine control system designed for 4 cylinder applications and V twin motorcycles. The system is configured with 4 high impedance injector drivers and 4 direct coil drive outputs. Ignitor type coils can also be driven directly. 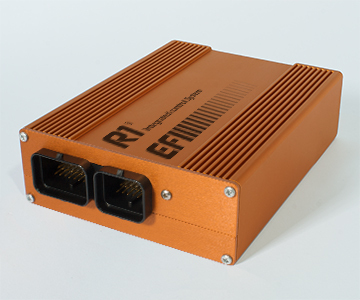 The R8 ECU is a fully sequential 8 cylinder engine control system designed for high performance race applications. 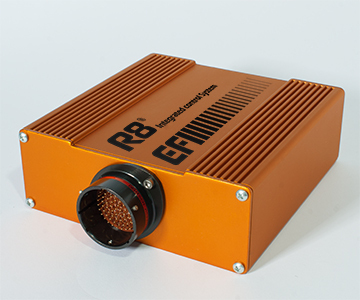 The R8 ECU has fully programmable 8 Stage Nitrous Control. Eight (8) high resolution timers control the fuel added, spark retard and nitrous for each stage. 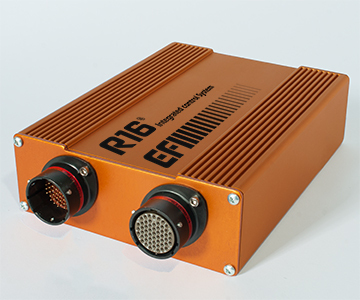 The R16 ECU is a fully sequential engine control system with 16 low impedance injector drivers designed for Turbocharged and Supercharged race applications. The R16 ECU has a 3D injector bias map to allow fully programmable bias between each injector per cyclinder. Injector phasing (start of injection) is also fully programmable. The R1 ECU is a fully sequential 8 cylinder engine control system designed for the GM LS engine. The enclosure is extruded 6061 aluminium that is environmentally sealed and features 34 and 26 pin main connectors. The R1 supports both 24x and 58x crank signal frames but also can use a standard 4 tooth crank trigger wheel. 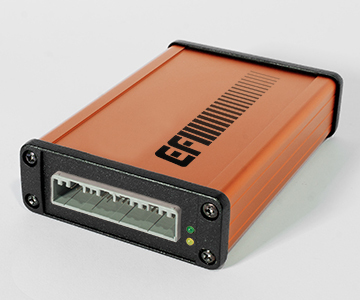 The Expansion Module is an digital/analog channel extender that adds inputs to any of the R Series ECU's via the CAN bus. 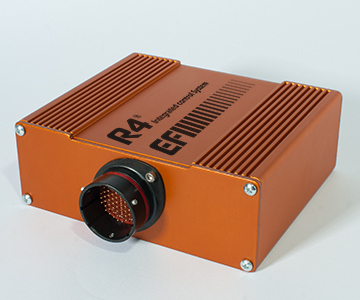 The enclosure is extruded machined 6061 aluminium that is environmentally sealed and features automotive grade connectors. It comes as standard with an internal 3 axis accelerometer, 4 digital and 16 analog inputs. All analog inputs are 0-5 volt but can be configured to match other sensor combinations. 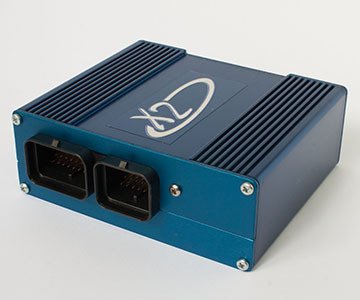 The XTR ECU is a fully sequential 8 cylinder engine control system designed for high performance Drag Race applications. 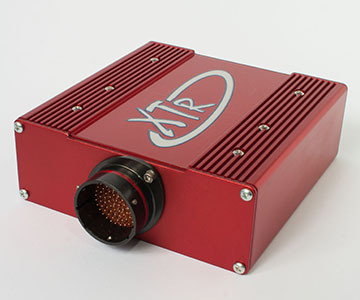 The XTR ECU has fully programmable 6 stage Nitrous Control. Six high resolution timers control the fuel added, spark retard and nitrous for each stage. The X2 ECU is a fully sequential 4 cylinder engine control system designed for 4 cylinder applications and V twin motorcycles.